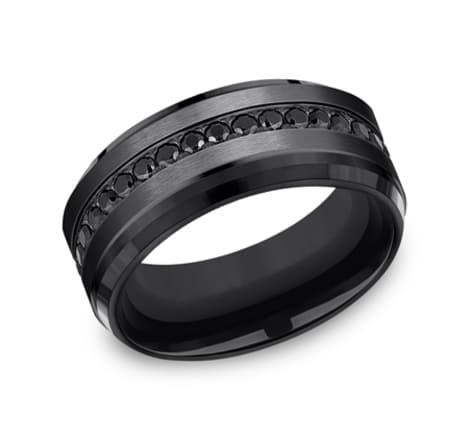 This Black Titanium 8mm Comfort-Fit band features a center cut with black cubic zirconia stones for a very modern look of sophistication. 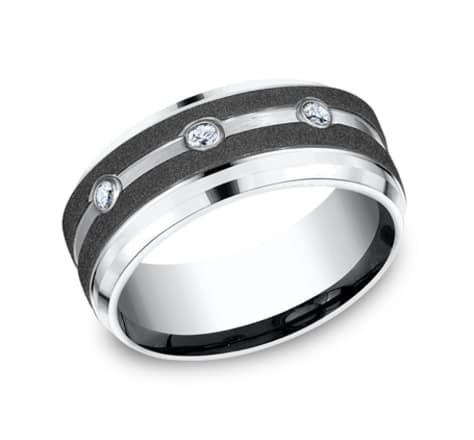 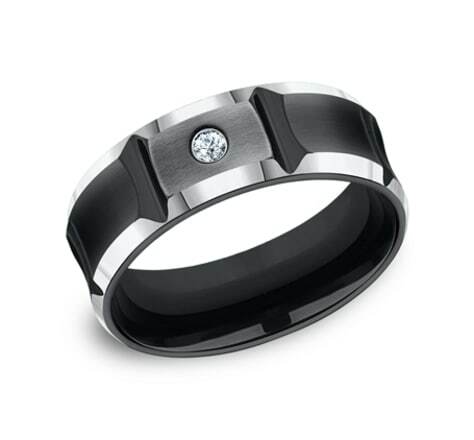 This Black Cobalt 8mm Comfort-Fit band features a .06ct stone in a satin concave center with deep cuts and polished edges. This incredible satin-finished 7mm comfort-fit Tungsten band features three round ideal-cut black diamonds set between a polished center trim. 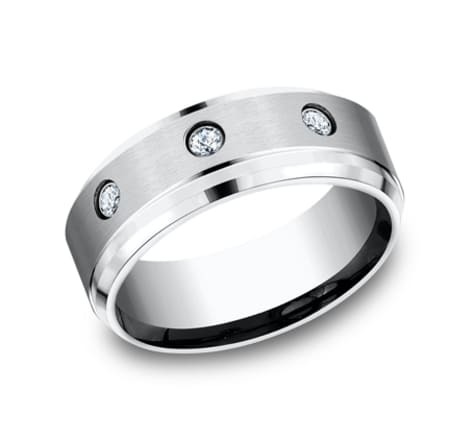 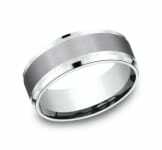 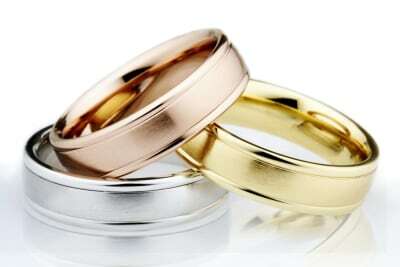 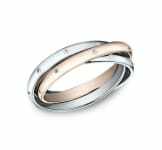 This incredible 7mm comfort-fit Tungsten band features high polished edges with three round ideal-cut stones set along a satin-finished center. 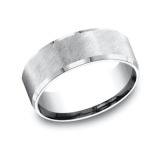 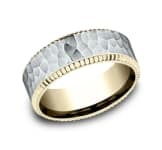 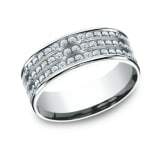 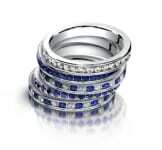 This awesome 9mm comfort-fit Cobalt band features a modern design with beveled edges and 3 round ideal-cut diamonds. 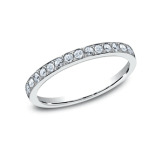 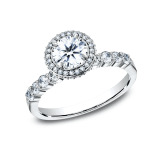 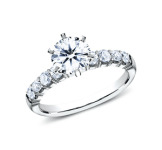 Approximate carat weight is .20ct.